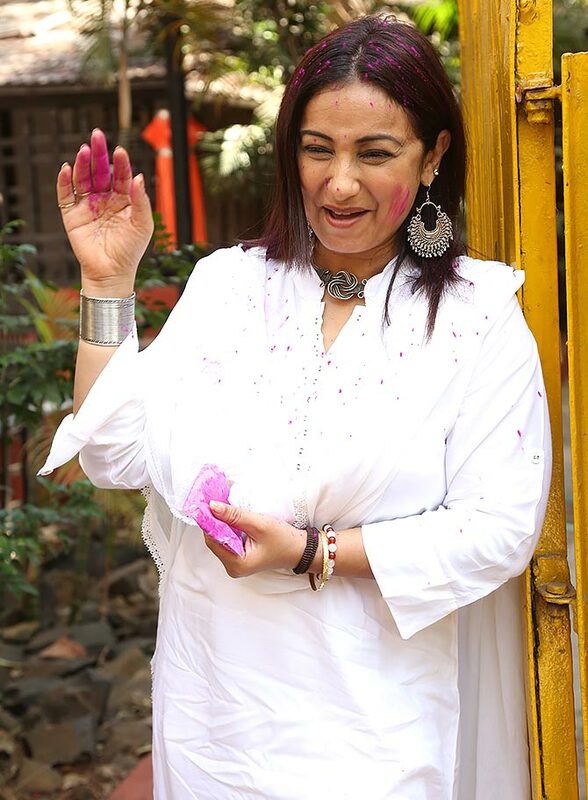 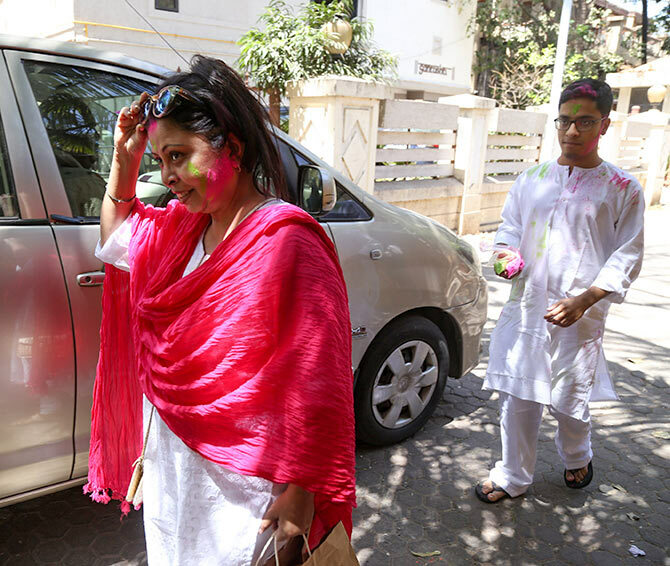 Like every year, Javed Akhtar and Shabana Azmi's Holi party overflowed with family and friends. 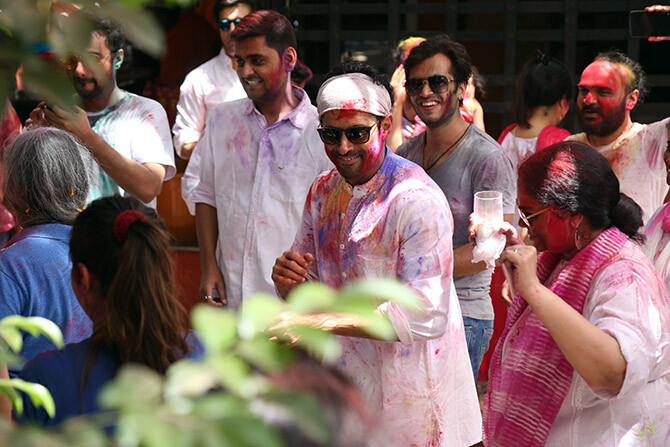 Shibani Dandekar made her debut at the party with Farhan Akhtar. 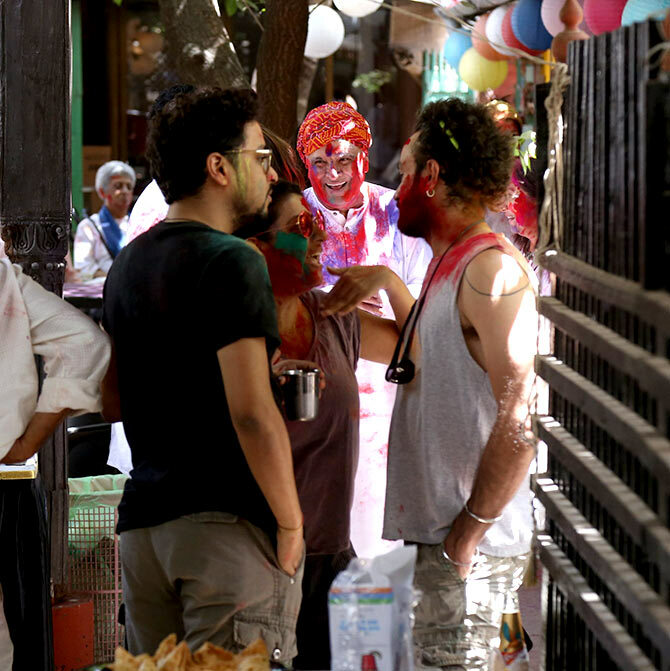 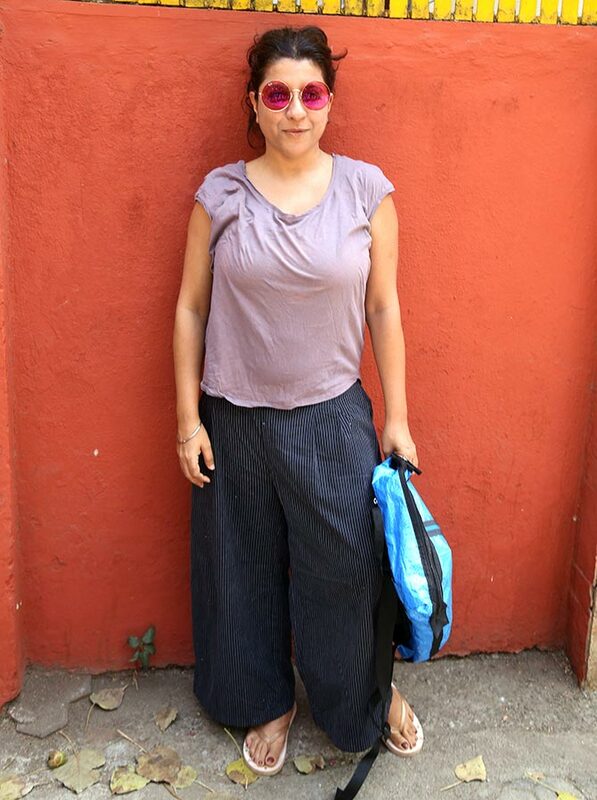 Zoya Akhtar, fresh from Gully Boy's success. 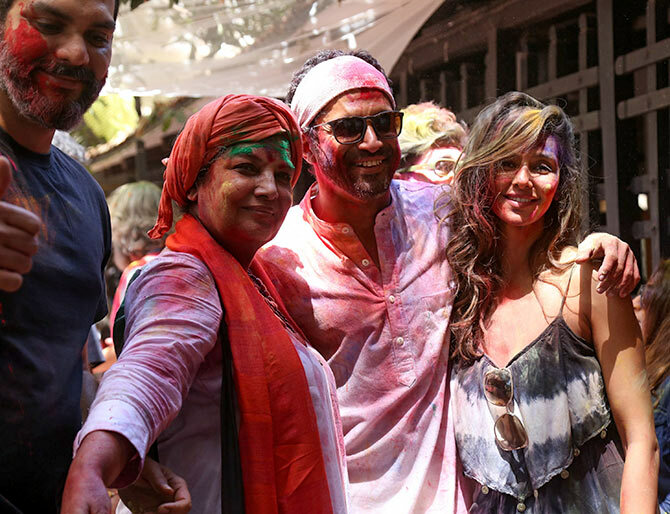 Shabana with Shibani and Farhan. 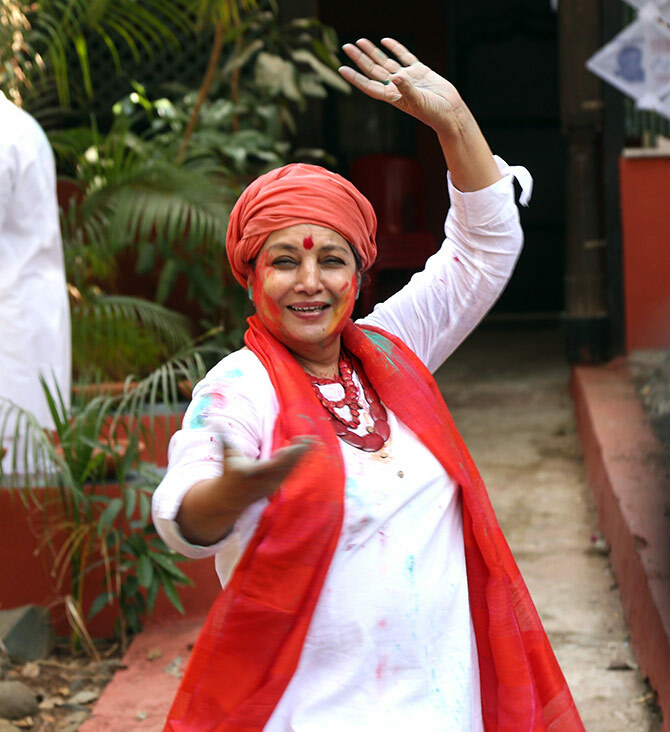 Farhan dances with Tanvi Azmi. 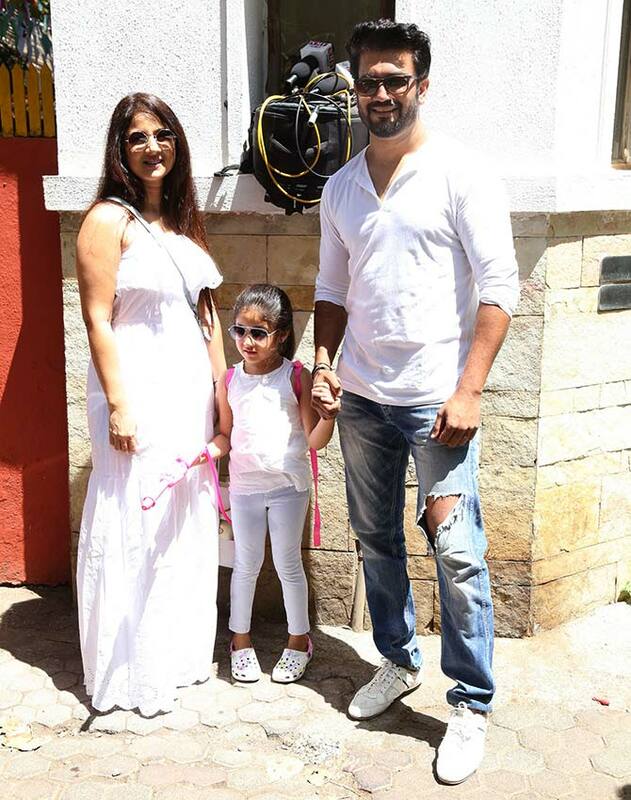 Sharad Kelkar with wife Kirti Gaekwad and daughter Kesha. 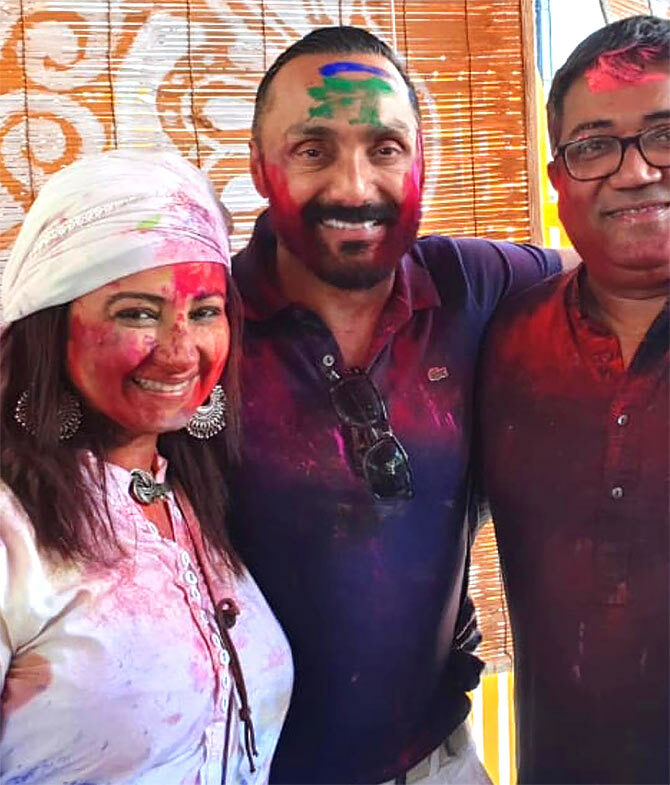 Divya Dutta and Rahul Bose. 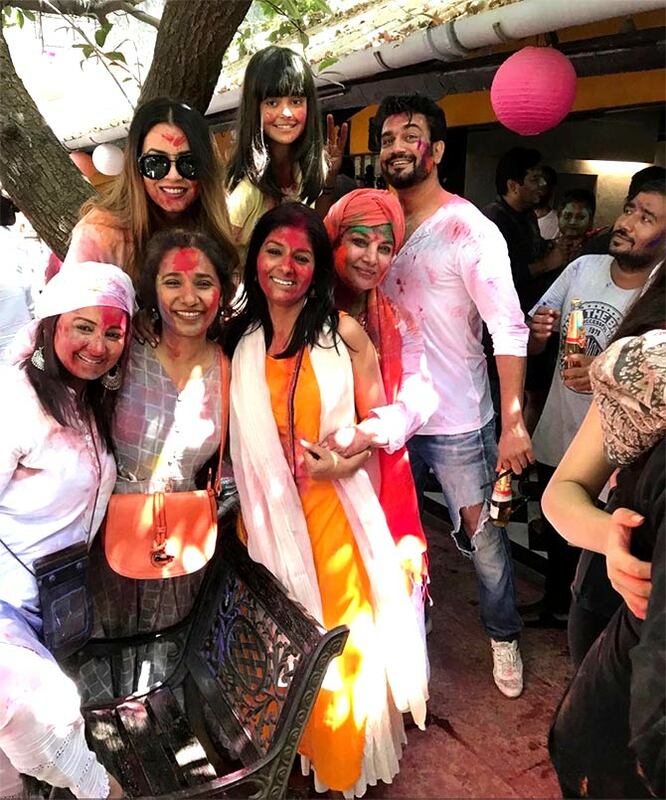 Clockwise, left to right: Divya, Mahima Chaudhry, her daughter Aryana Chaudhry, Sharad, Shabana, Nandita Das, Tannishtha Chatterjee. 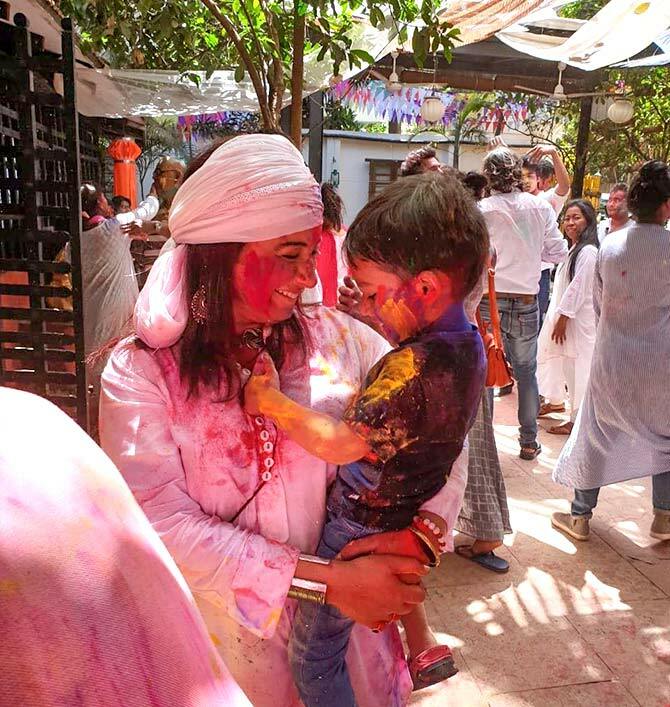 Nandita Puri and son Ishaan.